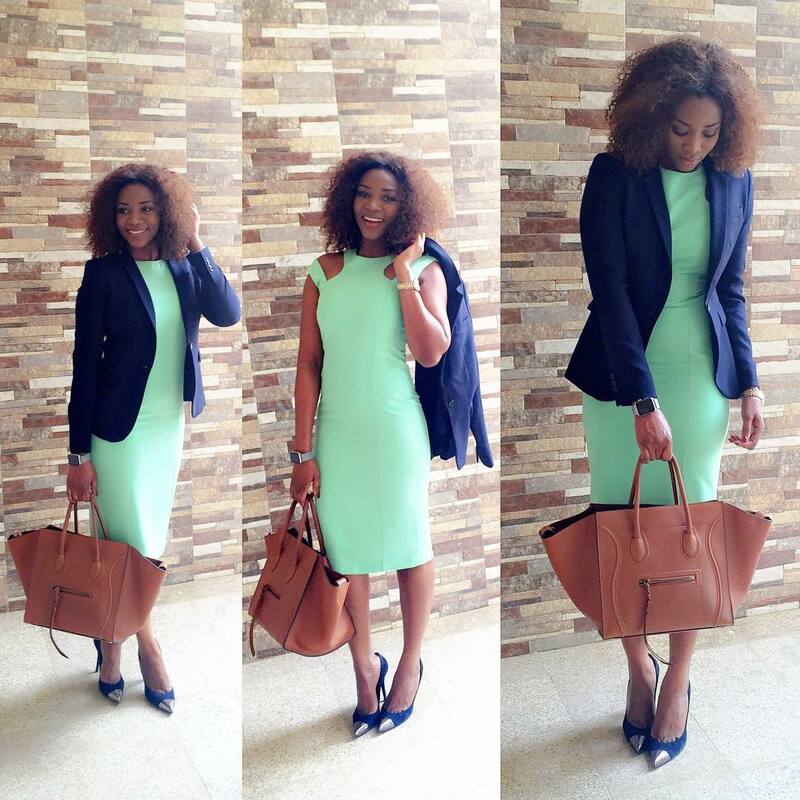 The ageless screen diva, Genevieve Nnaji just keeps wowing us with her unique style and beauty all put together. Check out this fabulous looking photo she shared on her page. She stepped out in this lovely light green dress coupled with that navy blue blazer jacket and her shoes are everything.